Born in 1986 in Hunan Province, China. 2008 founder and member of Double Fly Art Center. 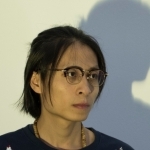 Currently lives and works in Hangzhou and Beijing. © CoBo Social International Co., Limited. All Rights Reserved. Video Art Asia (VAA) is a digital archive of video art works from the region from 1980s °V present. VAA offers a pivotal reference database for curators, researchers, artists and collectors. VAA is an open platform that is free-of-charge and is accessible to the international community. CoBo serves as the first Asia community platform for collectors to collect, connect and collide across various categories, including but not limited to contemporary art, design and fine wine °X both online and offline. We believe in the thriving power of ideas to share and innovate. Through the CoBo community, we are building an interactive archive of free knowledge from a dashing array of inspiring individuals °X and a community of curious souls to engage with inspirations, discussion and each other.